Designer Roos Meerman – Aera Fabrica: 3D Printing Combined with Blow Molding/Glass Blowing #3DxArt #3DxDesign #3DThursday #3DPrinting « Adafruit Industries – Makers, hackers, artists, designers and engineers! 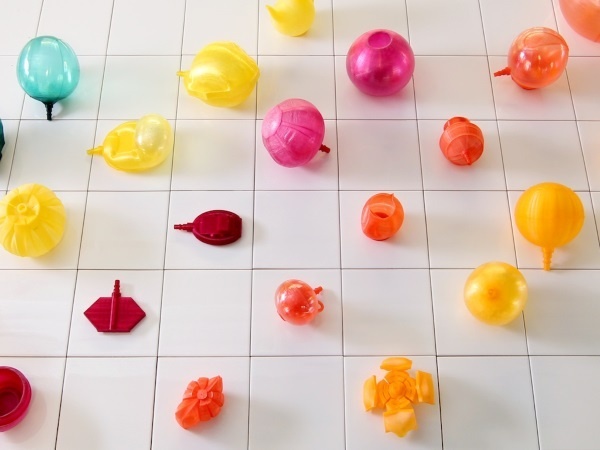 Designer Roos Meerman – Aera Fabrica: 3D Printing Combined with Blow Molding/Glass Blowing. Via 3Ders.org. The technique Aera Fabrica is a combination of blow moulding, glass blowing and 3D printing. From an experiment with stretching plastic, I moved to seeing the plastic form as a balloon that you can blow up. By heating up the balloon, it is made flexible and can be transformed. Cooling it, solidifies the form again. In contrast with the glassblowing technique, with Aera Fabrica I determine the form before the inflating process, which allows me to more influence on the final form. You can use the Aera Fabrica technique for many purposes because with a 3D printer you can print combining forms, colours and sizes endlessly.